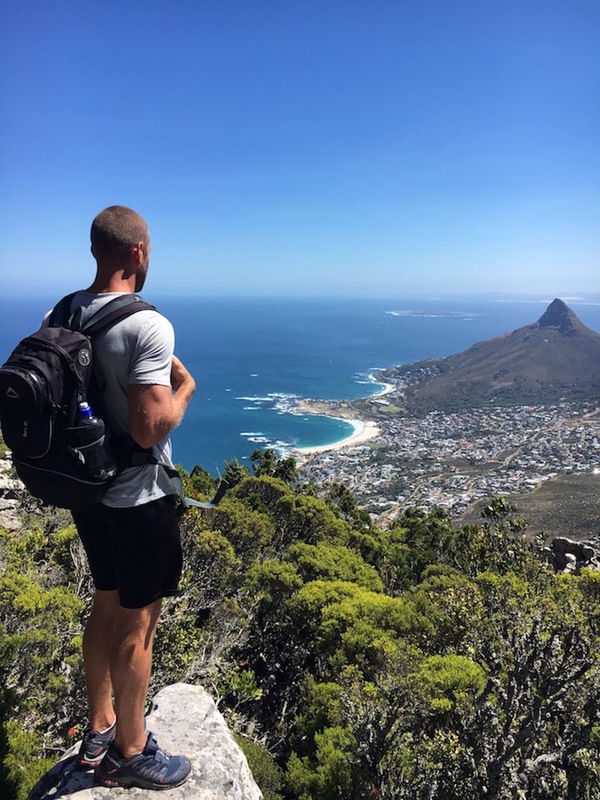 This hiking route takes us up and down the 12 Apostles to Tranquillity Cracks. 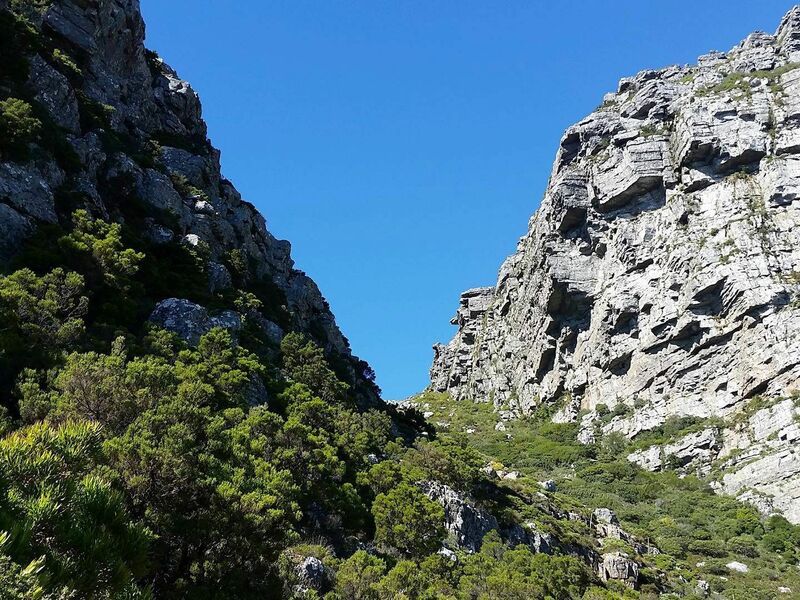 On this route, we explore the secret hidden gems of the Table Mountain range. 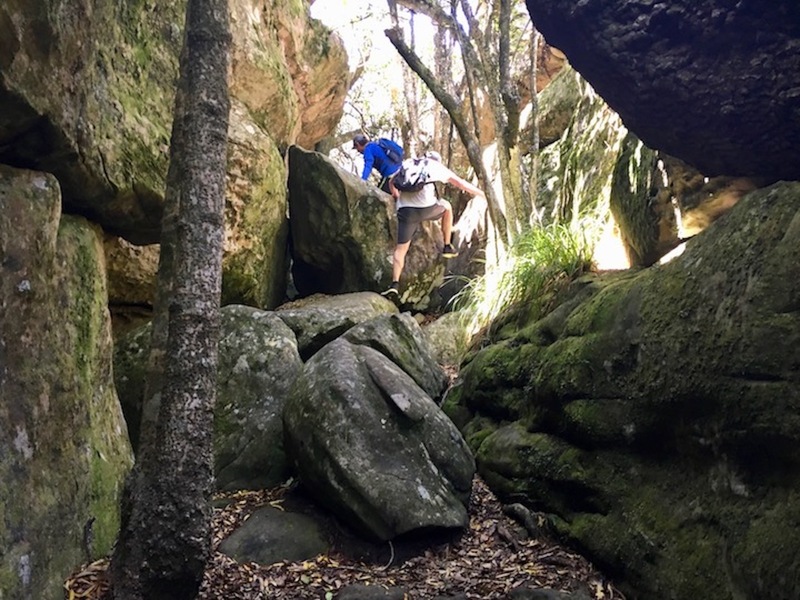 Terrain: Steep sections – single rocky track, Jeep track. stone steps. 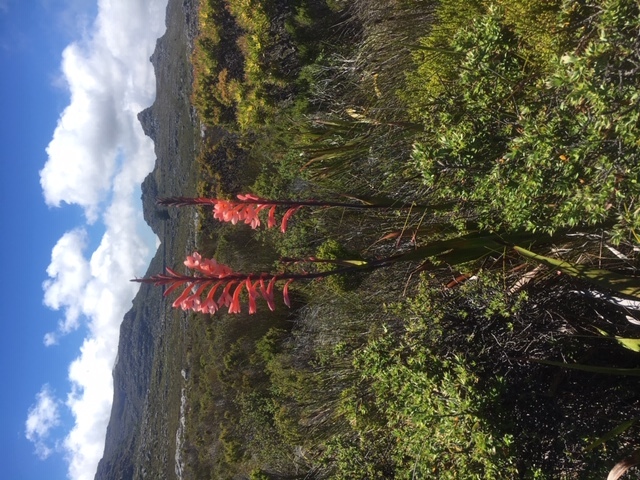 The hike takes you to a more peaceful side of the mountain, away from the rush of the popular Table Mountain summit. 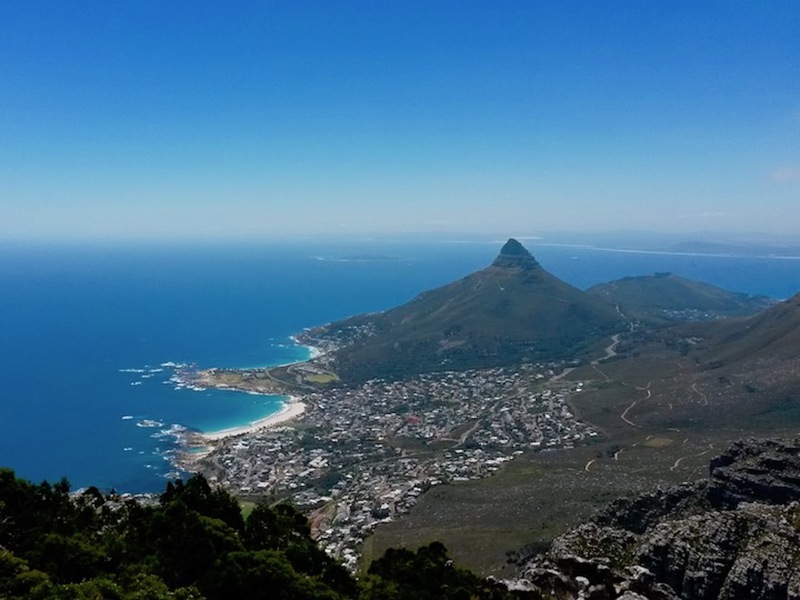 It also doesn’t summit on the famous plateau, nor does it take you to the cable car station. 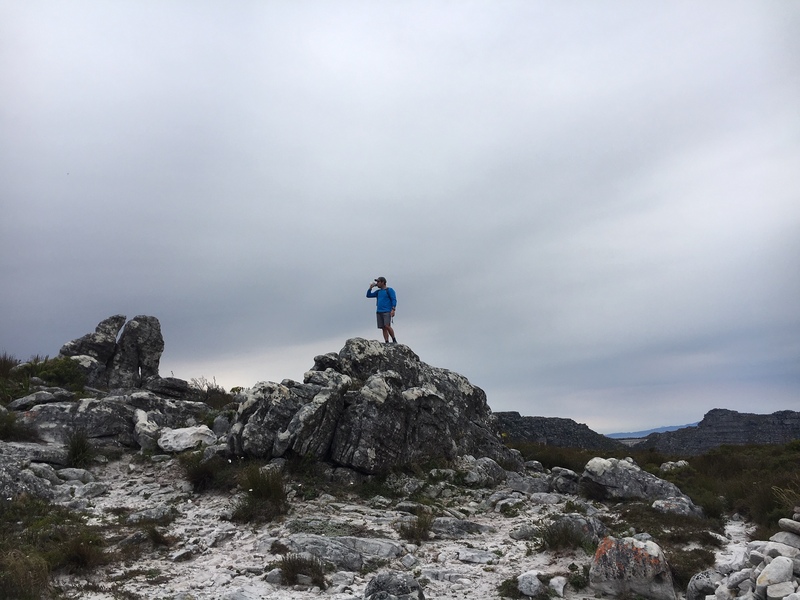 This hike takes place on the western slopes of the Table Mountain range. 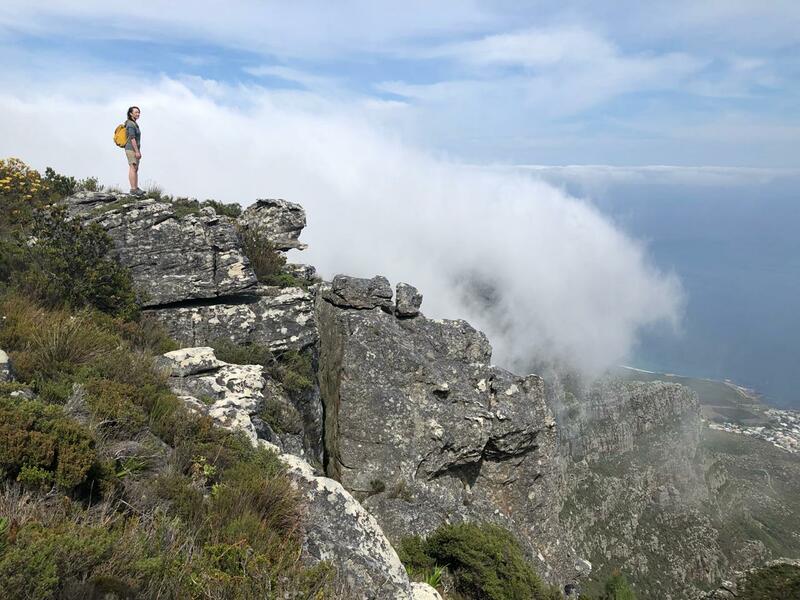 On the route, we hike up Corridor Ravine and down Kasteelspoort, two of the most beautiful and scenic routes of the 12 Apostles. The routes have mixed terrain and gradient. 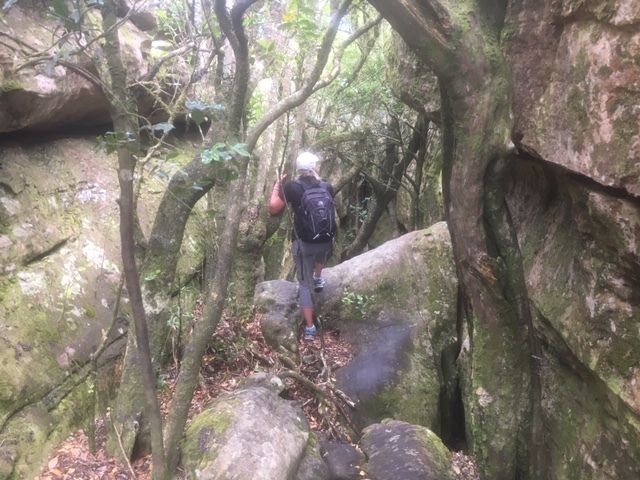 These routes are steep and once we reach the top, we hike along a more level terrain. 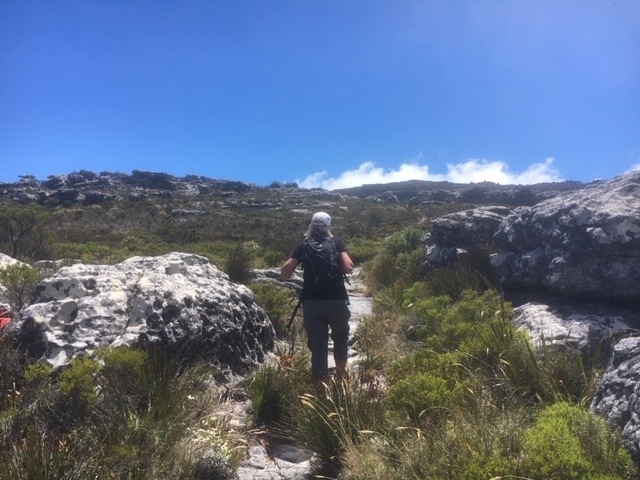 The route starts off on a jeep track, into a single rock path, and then turns into a more stair like terrain as we reach the steeper sections towards the summit. 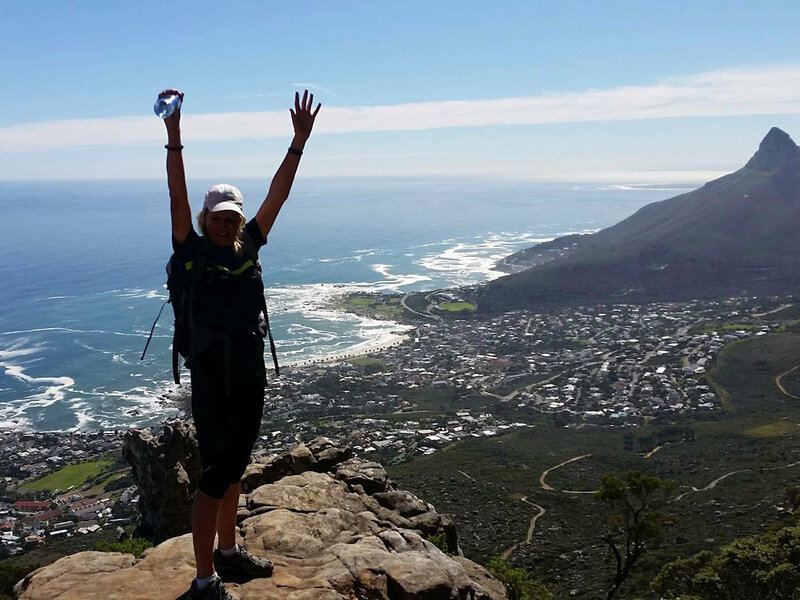 Just like all Table Mountain hikes, you need to have a relatively good fitness level to enjoy this hike. 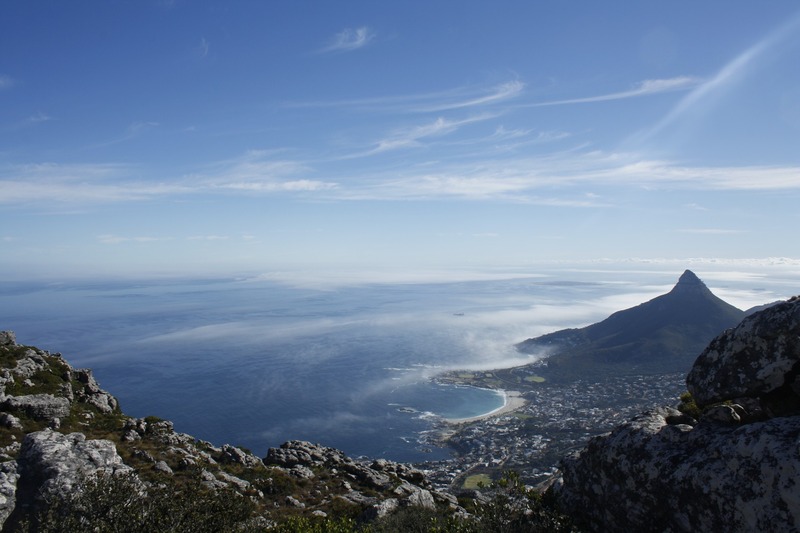 The route starts off in Camps Bay on Table Mountain’s historic Pipe Track. 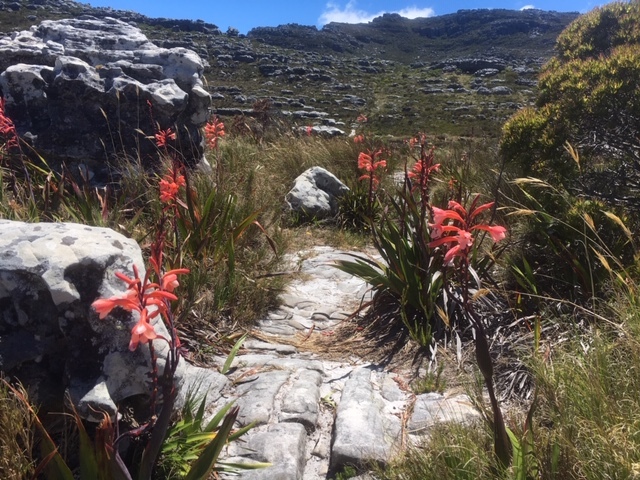 Famous for the water pipes that follow the path, as well as for its display of proteas and its wide variety of Table Mountain flora. We then, head up Corridor Ravine. 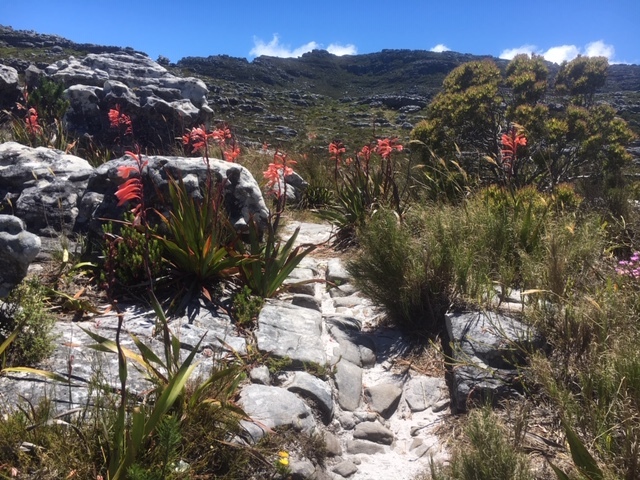 A beautiful route highlighting the beauty of the many elements on the mountain. 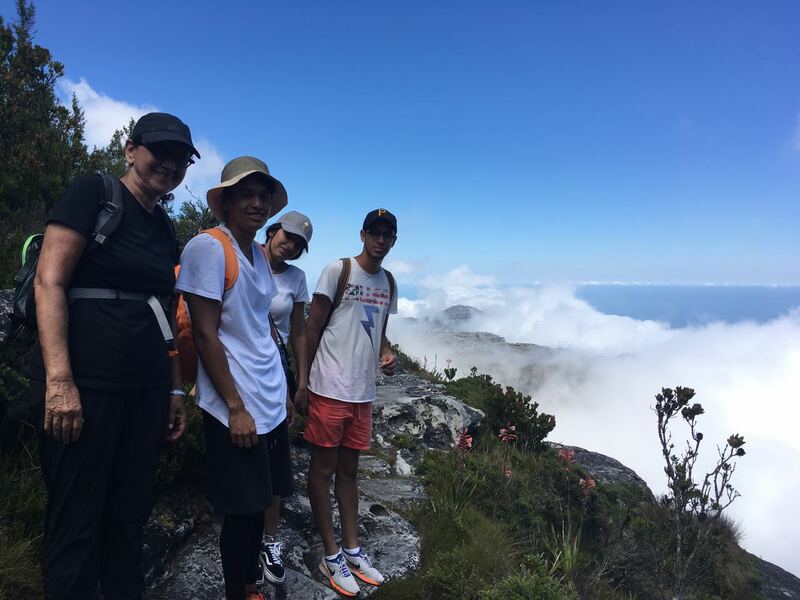 Corridor ravine has a great mix of scenery and breath-taking views making the hike to the summit a pleasure. Once at the top, you will be surrounded by the beautiful landscape of the Back Table, often where there isn’t a person in sight. We will then follow a discreet path leading us to Tranquillity Cracks. 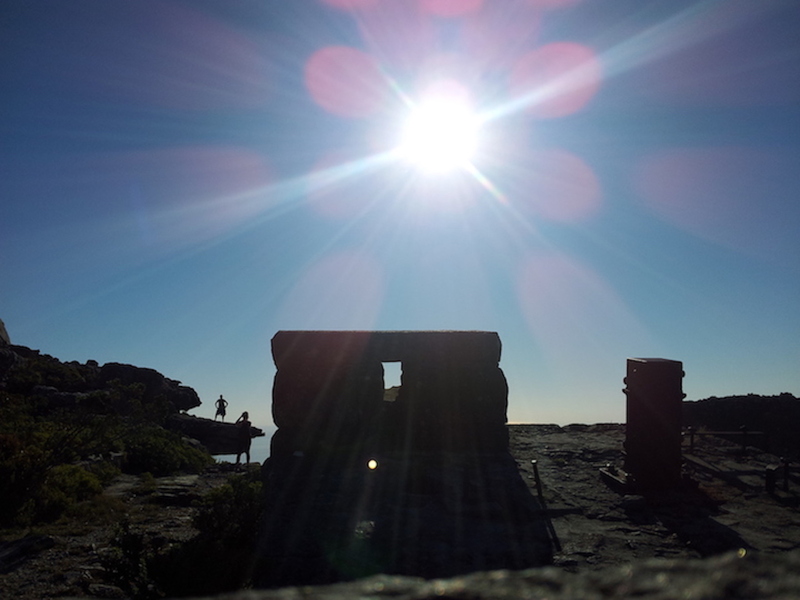 Tranquillity Cracks is a secret hidden location on Table Mountain. 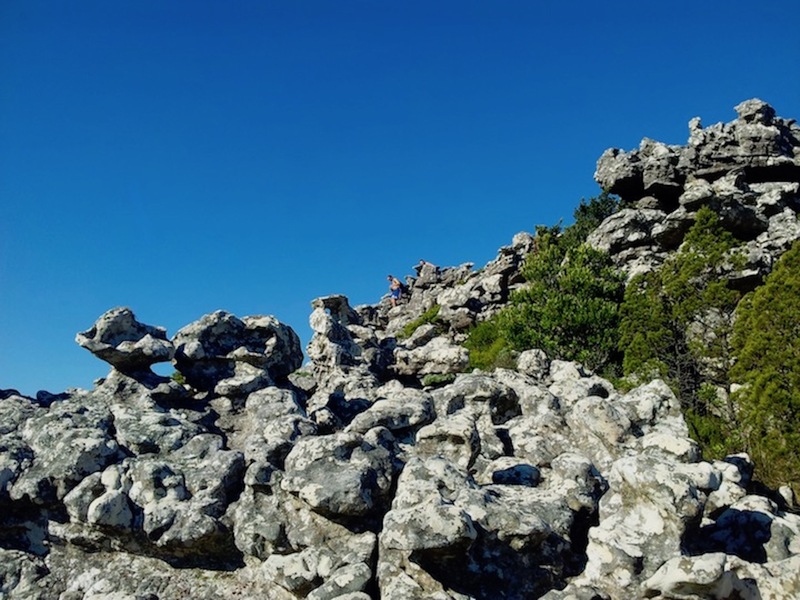 With a bit of help from Mother Nature, huge sandstone boulders have formed cracks, caves, and passages filled with yellowwood trees leading to spectacular viewpoints over Camps Bay and the Atlantic coastline. Tranquilly Cracks is famous for not being found easily unless you know the way of course. We’ll be sure to spend some time here to take it all in before we head off on a more relaxing stroll along the beautiful landscapes of what lies above the Back Table. 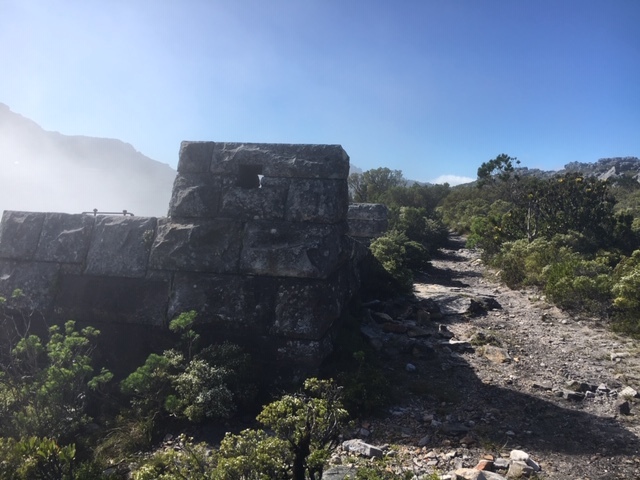 We will visit the old cable car ruins, and incredible photo locations before heading down Kasteelspoort. 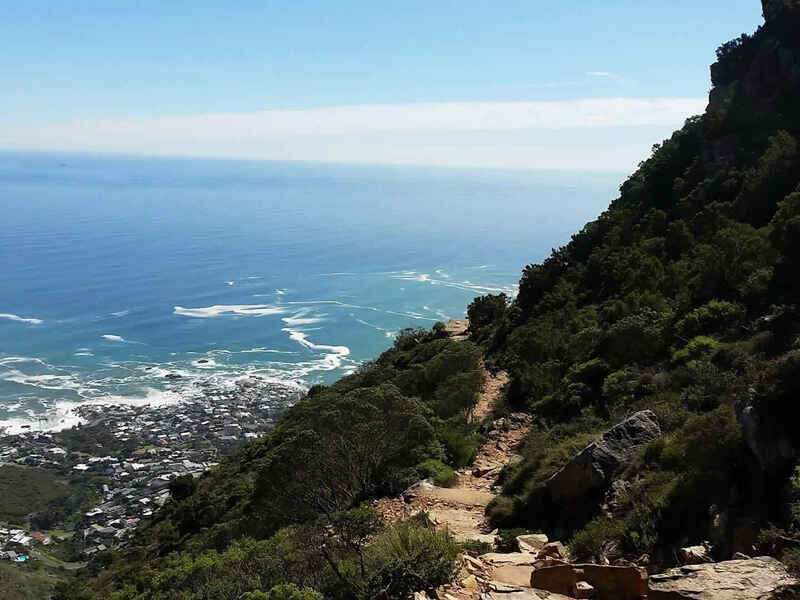 Kasteelspoort boasts magnificent views, and hiking down this route is superb as you will be facing the Atlantic Ocean coastline the entire way down. 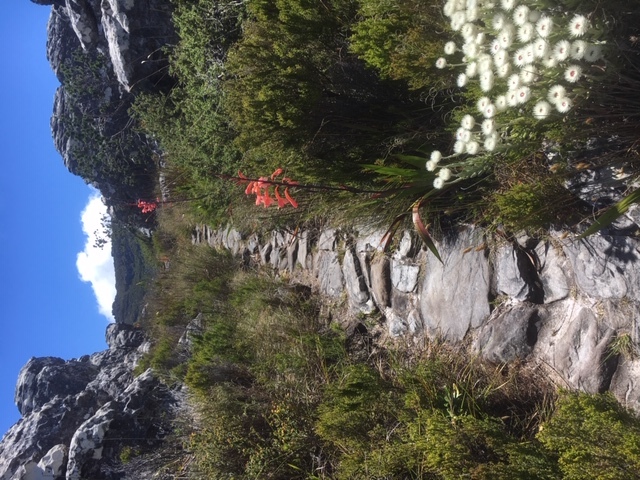 Kasteelspoort taps off back onto the Pipe Track and we will end the hike back where we began. This route is shaded in the mornings and receive direct sunlight throughout the day. 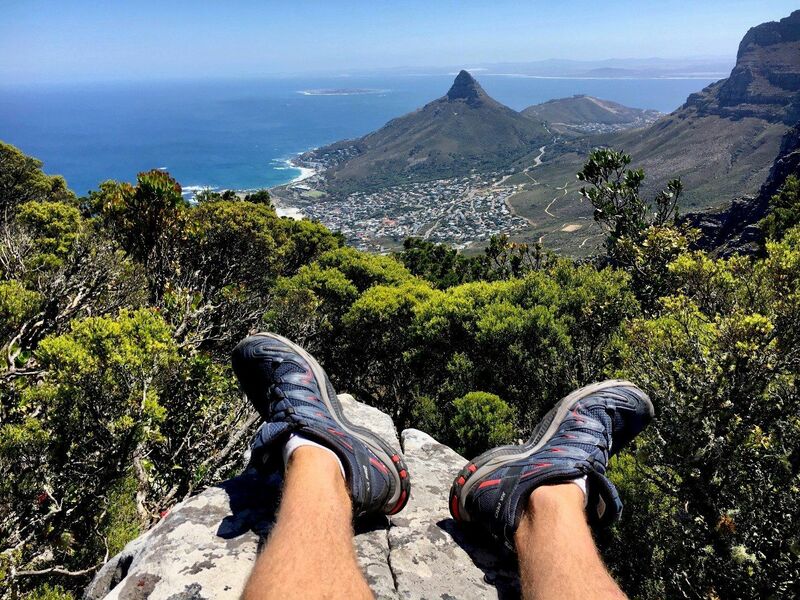 So, hiking early in the morning is the time of choice during the hot summer months. 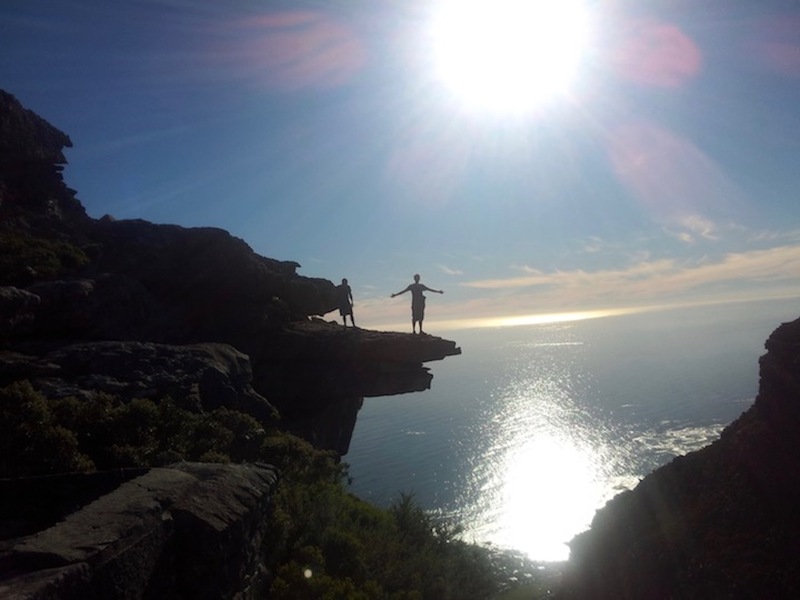 Take a look at photos from our previous hikes up Table Mountain to Tranquillity Cracks. 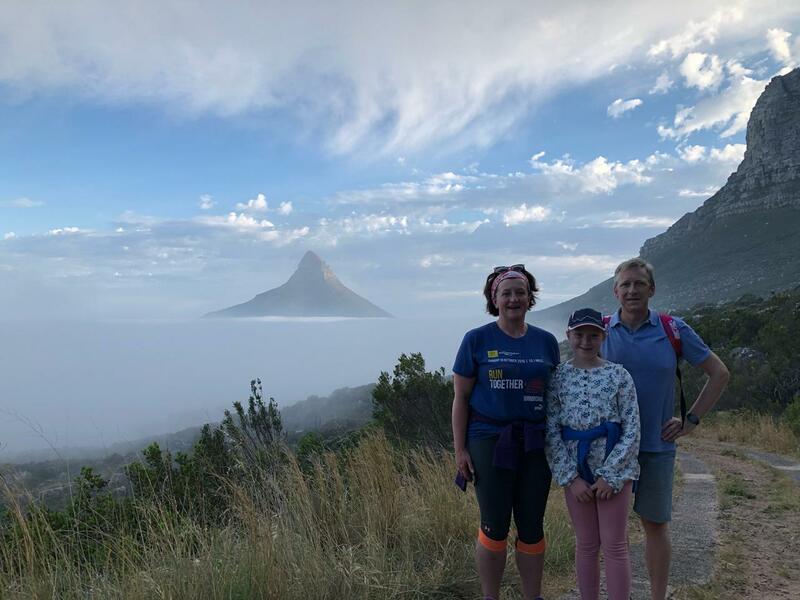 We start our hikes at 06:30 – 07:00 am. Our guide will be waiting at the meeting point for you. 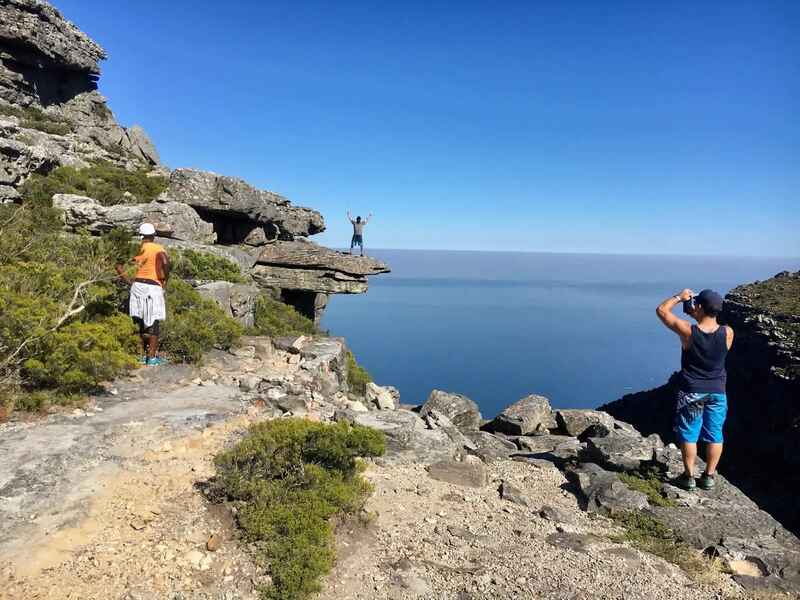 Group hikes stay small and we only pair up if expectations match. 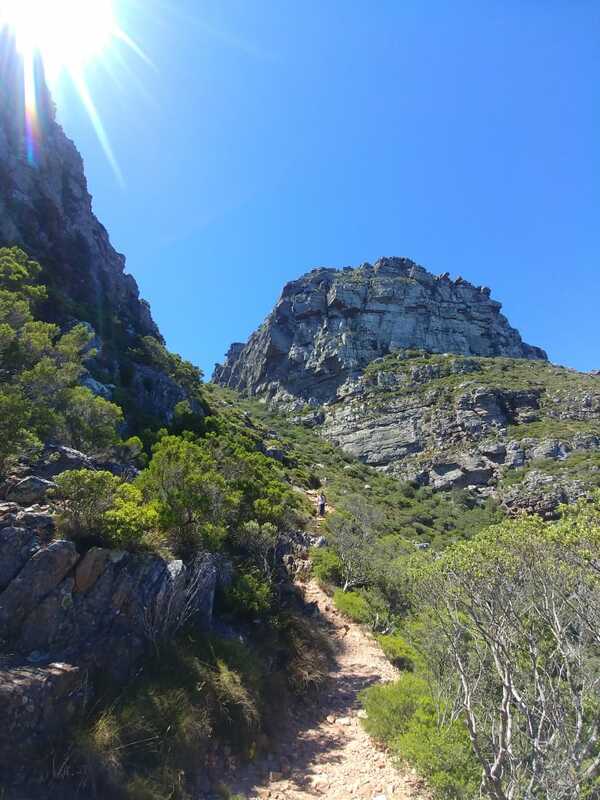 This hike takes us to the secret locations on the Table Mountain range. 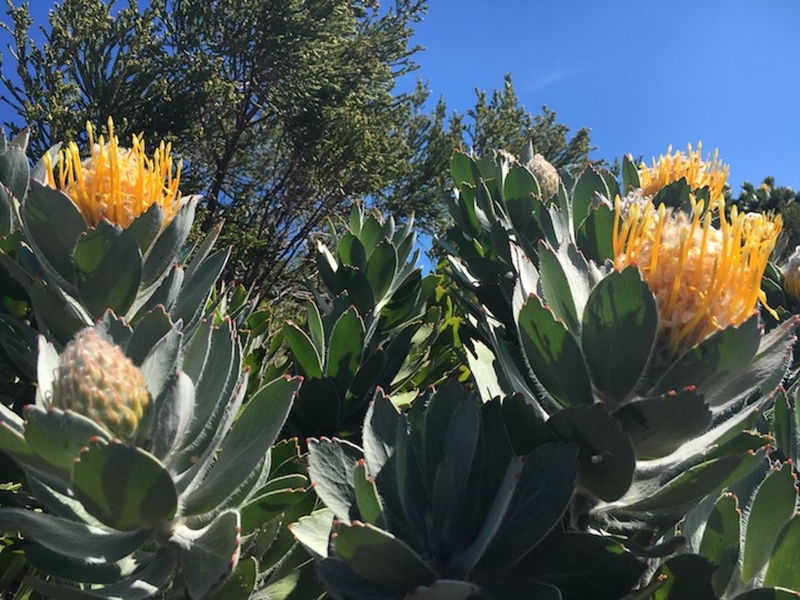 Discover the culture and wine secrets of Stellenbosch as we visit world class estates, in the country’s most popular wine region! 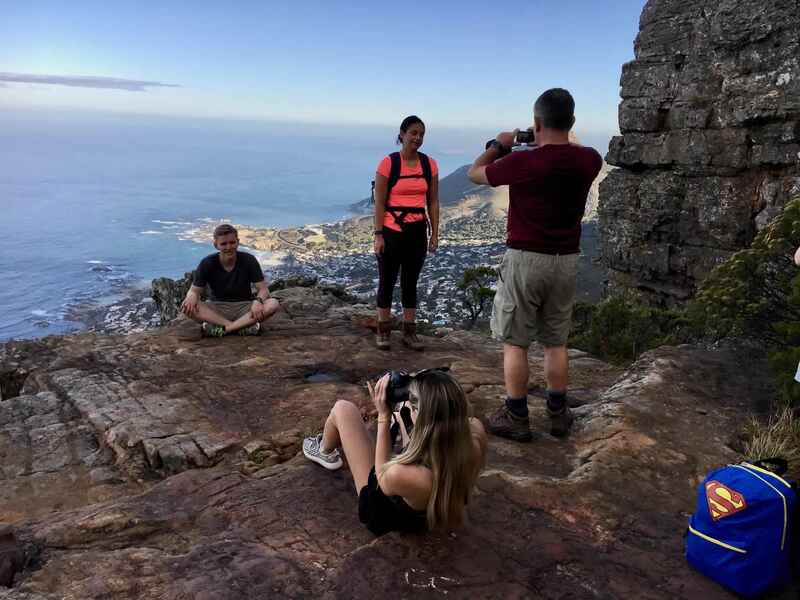 Enjoy beautiful scenery, incredible views and breezy seas with our iconic tour of the Cape Peninsula and a visit to the penguins of boulders beach. 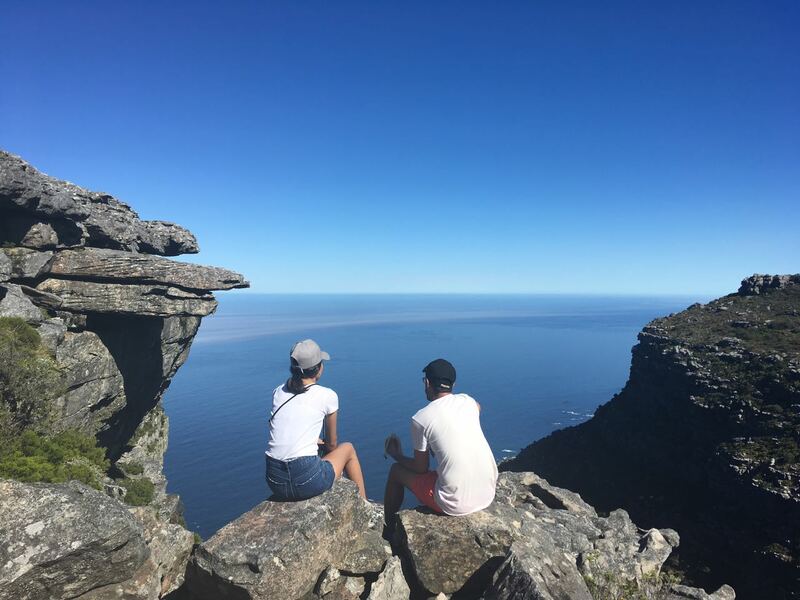 Experience the beauty of Cape Town’s history as we stroll around the city’s most profound landmarks and visit Robben Island.